That idea is a hallmark of the liberalism which is the foundation of the Constitution. Liberalism presumes a basic equality of rank among all citizens. Yet, the society has no such equality. The Rule of Law is committed to protect the human rights of everyone — even a terrorist — if they come under suspicion. 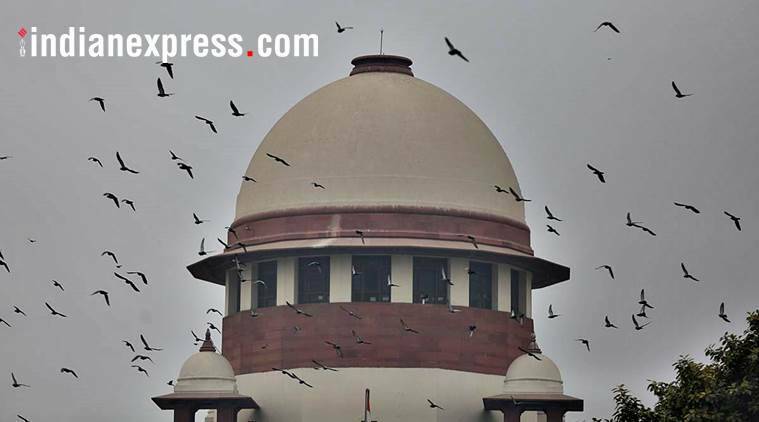 The Supreme Court has emerged as the sole guarantor of people’s rights. There was Padmaavat where despite the mob rule, the court defended the Right to Freedom of Expression. In the Hadiya case, the right of an adult Indian woman to choose her own husband was upheld. There has been new thinking on the decriminalisation of homosexuality. There was recently a liberal judgment on voluntary euthanasia. Such non-political authority cannot go unchallenged in a highly politicised democracy. The recent Bharat Bandh agitation is a political reaction to what was after all a technical judgment. The judgment was meant to protect the fundamental right in any society based on the Rule of Law that everyone is innocent until proved guilty. India’s history since Independence is a continuous struggle to achieve such an equality of rank or dignity for all in a country where the majority community belongs to a social order characterised by a hierarchy of jatis sitting atop the Dalits, who are the lowest of the low. This distance between the liberal promise and the social reality has been sought to be resolved by the politics of reservations. To achieve equality in our unequal society, the mark of ritual inferiority — jati status — is itself used as a weapon in the hope that eventually this will remove the disadvantages of the hierarchical order. The Rule of Law presumes equality in the hope of achieving it. It is this contradiction which has finally hit the country. Given the proximity of the general election, every vote bank has an opportunity to push its case. With the Dalits being the largest minority, their clout is formidable. For years, they lived under the false protection of the Congress and got little in return. Kanshi Ram was the genius who created an independent structure for Dalit mobilisation. Now, the old leadership under Mayawati is losing its grip on popular appeal. New leaders are emerging to take her place. They go nationwide, use social media and mobilise large numbers. Mahatma Gandhi taught us to fight the British by gathering large crowds in confined urban spaces as it always intimidates the forces of law and order. That lesson has never been forgotten by the people fighting for what they want. But in this case, the exploited minority is urging the retention of a procedure which harms the rights of the suspected offender. This is the severest test of the courts and the Constitution. The Rule of Law is committed to protect the human rights of everyone — even a terrorist — if they come under suspicion. Many people do not like it but the Rule of Law has to protect the victim as much as the alleged aggressor before punishment can be delivered. The Dalit vote being essential to electoral victory for every party, the temptation to override the Supreme Court will be great. But it should be resisted. By the Dalits themselves if not anyone else. They must remember that once the Rule of Law is flouted, it is the weak who will suffer the most. The Constitution is the sole protection for the bahujan.